What are the banks doing with your hard-earned cash? However much money you have in the bank, you can be sure they are investing it somewhere to make money. Wouldn’t it be great if that investment was funding a brighter future, enabling projects that will build a better world? Climate change is one of the biggest threats to our future on this planet. Rising global temperatures are causing droughts, floods and storms of unprecedented scale and severity. And those suffering the most are the poorest and most vulnerable communities round the world; the people who Christian Aid works with. Day by day, we hear the stories of those who are feeling the full force of climate chaos. Climate change is driven by carbon emissions from the burning of fossil fuels, like coal, oil and gas. Their extraction costs money and right now the biggest UK banks are using our money to invest in the extraction and burning of these outdated fuels. Instead, they could be using it to power the rise of the clean energy that we all need for the future of our planet. The big banks say that they agree that stronger action for climate change is needed. But right now, they don’t even have a plan of what that action might be. At a festival where we believe in the common good, we’re not prepared to let this stand. The Big Shift is Christian Aid’s campaign to urge these high street banks to make the shift away from fossil fuels into renewable clean energy. And at Greenbelt this August, you’ll have the chance to get involved. You can add your voice to the urgent call to the banks. Christian Aid will be out and about all weekend, bringing our campaign to all corners of the Festival. Look out for us and get hold of one of our coin cards so you can add your name to the campaign. Then you can deposit your “coin” in one of our mobile piggy banks, or take it along to our venue, The Bank of the Common Good. While you are there, you can pit your wits against our bank vault escape room. 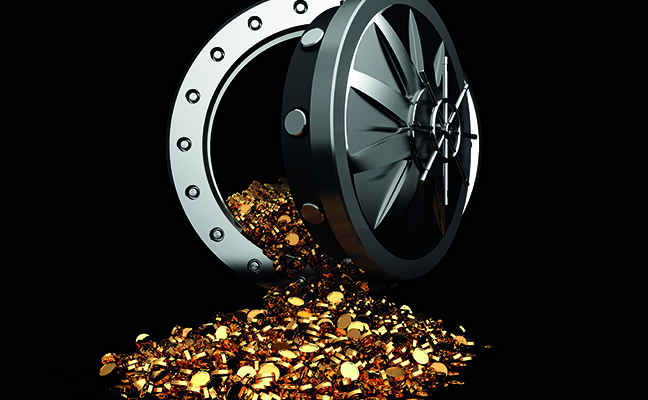 Can you penetrate the bank vault and find out what they are really doing with your money? The action doesn’t stop when we go home. From September, you can join Christian Aid supporters up and down the country taking the message directly to the banks on the high street. Follow our activities as they unfold with the Big Shift All the coins we collect at Greenbelt will form part of our big plans this Autumn to make sure the banks get the message. We can make a difference. Find us at the festival, join us in making the Big Shift to a better future.